The License Management screen appears. 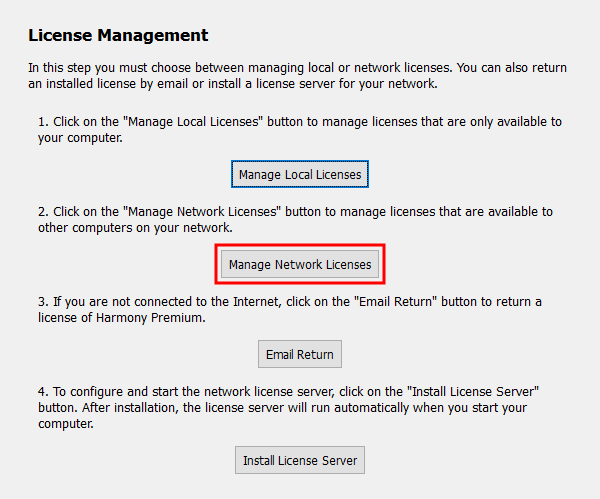 Click on Manage Network Licenses. The Network License Manager appears. 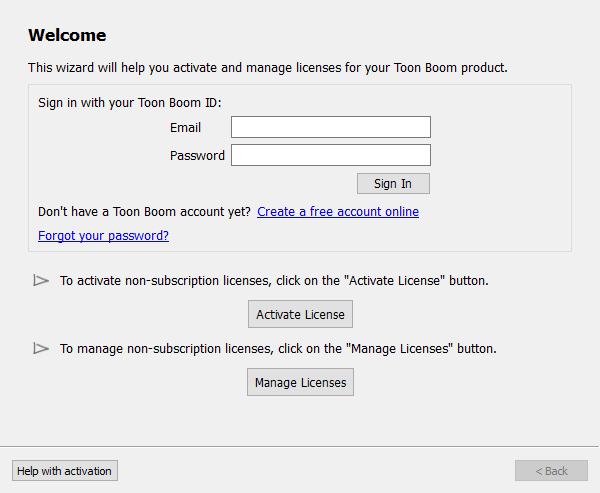 Each activated license is displayed with the product they activate, the product version they support, their product code and their expiration date. Select the license you want to return. Click on the Return button. The license is returned and the product is no longer activated. NOTE: If the deactivation fails, verify that your Internet connection is working. 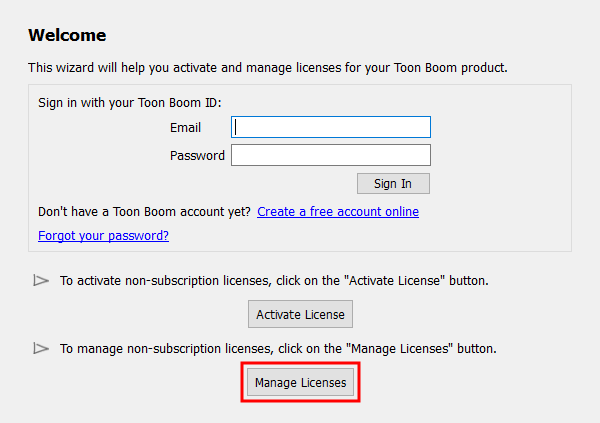 If it is, contact desk@toonboom.com for assistance. Make sure to mention the error message displayed and include the product code displayed in the Local License Manager.